Upon arrival at the Mumbai airport, our tour representative will meet you and assist you in smooth transfer to the hotel. Stay overnight in the hotel. Post breakfast in the morning, set off to explore the tourist attractions in Mumbai which include a visit to the Gateway of India and the local bazaars. Later, you’ll be transferred to board the flight to Aurangabad. Upon arrival in Aurangabad, you’ll be transferred to the hotel. Stay overnight in the hotel. 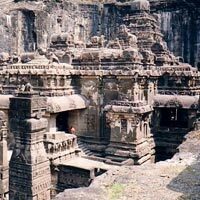 In the morning, enjoy a full day excursion to the Ajanta Caves. 30 in number, the Ajanta Caves is a group of Buddhist monasteries and houses a vast collection of art, paintings and scriptures. Stay overnight in the hotel. Post breakfast in the morning, embark on a sightseeing tour of Ellora Caves, Aurangabad Caves and Daulatabad Fort. 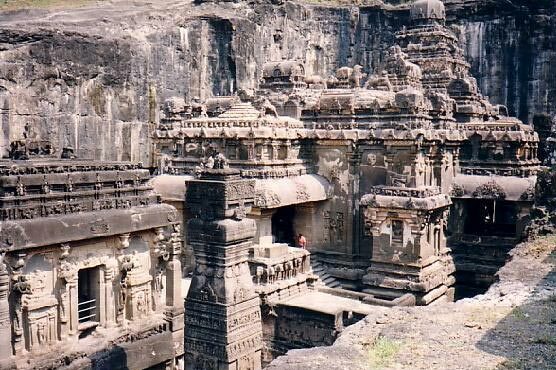 34 in number, the Ellora Caves represent three different religions such as Buddhism, Hinduism and Jainism. On the other hand, the 9 Buddhist caves and Viharas at the Aurangabad Caves are known for Tantric influences. Stay overnight in the hotel. Today, you will be transferred to the airport to board flight to Mumbai. Upon arrival, you will be transferred to the hotel. Later, proceed on a sightseeing excursion to the Elephanta Caves. Stay overnight in the hotel. Post breakfast in the morning, set off for a sightseeing tour of Mumbai. Visit the Prince of Wales Museum, Juhu Beach and Hanging Gardens. In the evening, you’ll will be given assistance for transfer to the international airport to board flight for onward destination.